People in Florida give gravity to their home security and do their best to keep their garage doors well maintained since it’s the favorite break in point of burglars. 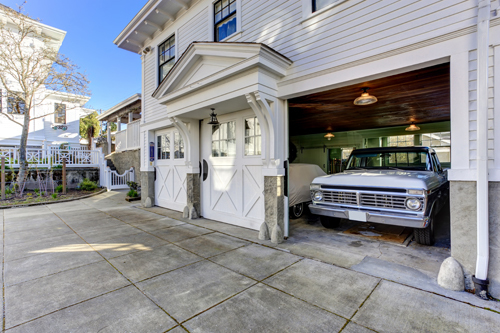 Current garage doors meet all necessary security and safety specifications, but it wouldn’t hurt adding some extra features to make it more durable and ensure your home’s protection. Does the garage door material play a role to security? Today, most materials are very strong and resistant against attempts to break them down. Yet, intruders don’t open holes in the doors, but try to find small gaps, like the one a worn bottom seal would leave or when the door doesn’t close properly all the way to the ground due to malfunctions of the garage door opener. The regular garage door service would solve these matters and eliminate the chances of intrusion. Are there cheap ways to enhance security? Today, you can buy several cameras and alarm systems that will notify you whether there is motion around your garage. You can also install extra lights in the surrounding area that will be turned on with the movement of the opener or when they sense motion in the nearby area. There are many garage door companies in Florida that can advise you for the correct spots, where you can place such devices. Can someone open my garage door without using my own garage door clicker? At older times, remote controls had a standard code that could be traced, but the current multicode remote models are practically impossible to be violated, especially if they have security plus technology that changes the code after each use. If your remotes are old, you should contact a local company for their replacement.